Please note that we are in our Summer worship Schedule through September 6. Noah’s Nursery is staffed on Sunday mornings beginning at 9:45. The nursery is for children ages 6 weeks up to 3 years old. When they celebrate their third birthday, children move to the Preschool Sunday School class. Noah’s Nursery introduces children to God and Jesus through Group’s Play-n-Worship curriculum. This curriculum consists of a simple story, a song on CD and matching stuffed manipulatives. Our goal in Noah’s Nursery is to provide an atmosphere of love and care in a safe and clean environment for infants and toddlers. We want parents to feel at ease while you have a meaningful worship experience knowing that your child is well supervised. 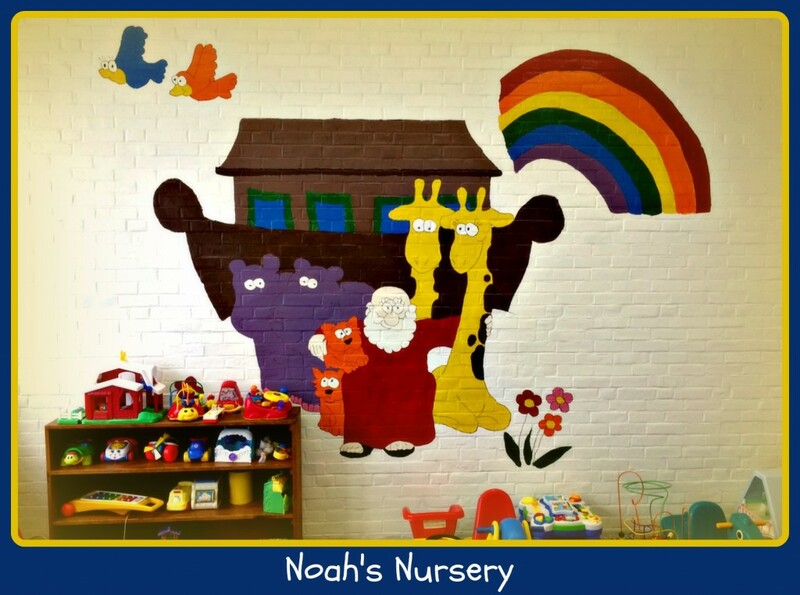 Noah’s Nursery is staffed by one adult and one youth volunteer who usually serve once a month. They arrive in the nursery approximately 15 minutes before the worship service. For families who wish to keep their infants with them, the Family Lounge, next to the Gathering Space, is always available.